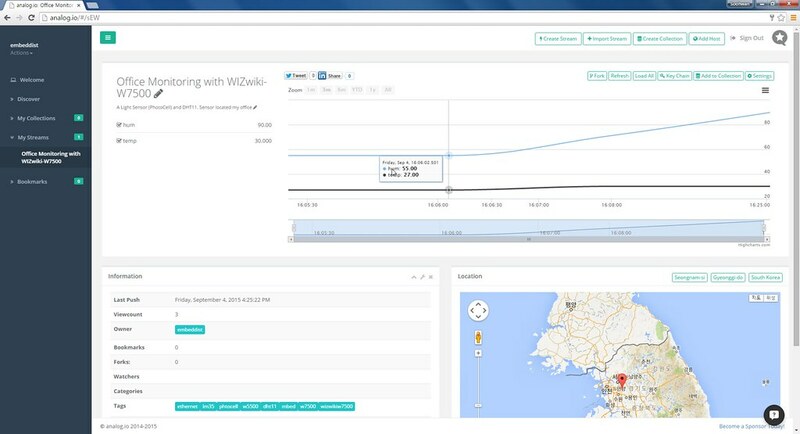 This post shows how to connect IoT platform to Cloud service and how to display sensing data for graphical analysis. Phant is a open source cloud server platform by powered Sparkfun Electronics. 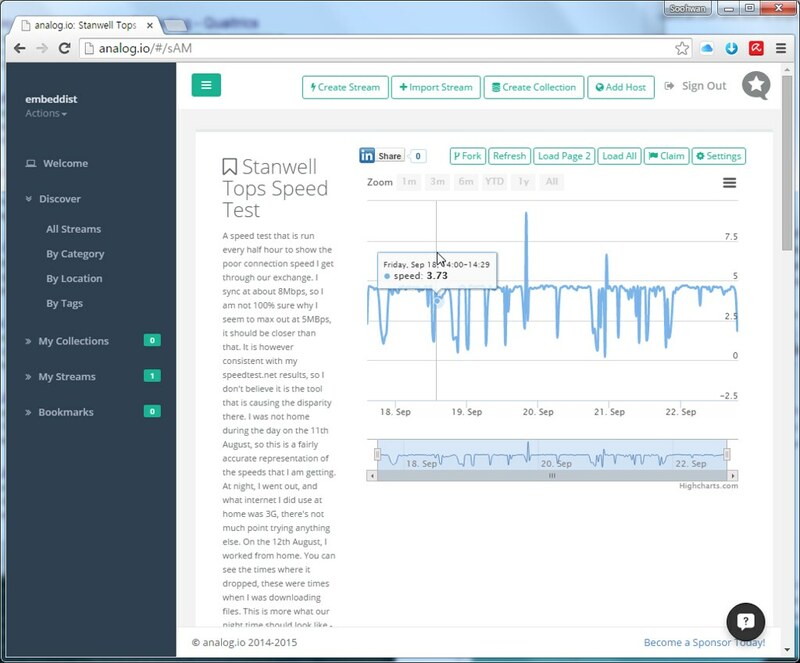 To collect data from your device to cloud service, you just need to register a new stream. 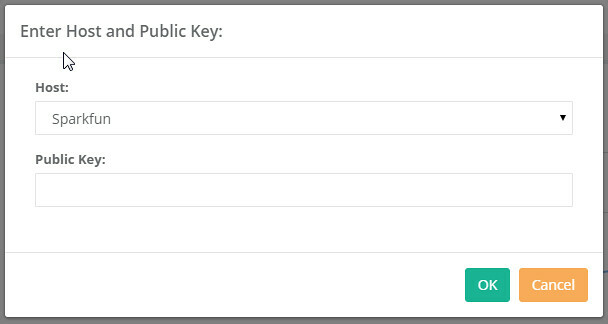 After register, you get two keys for accessing the data; one is q private key is required to update that stream, other is a public key grants access to any other stream on the service. All communication with Phant is carried out over HTTP. So, your device should be acted as HTTP Client. Phant is a modular node.js based data logging tool for collecting data from the Internet of Things. It is the open source software that powers data.sparkfun.com, and is actively maintained by SparkFun Electronics. Phant is short for elephant. Elephants are known for their remarkable recall ability, so it seemed appropriate to name a data logging project in honor of an animal that never forgets. 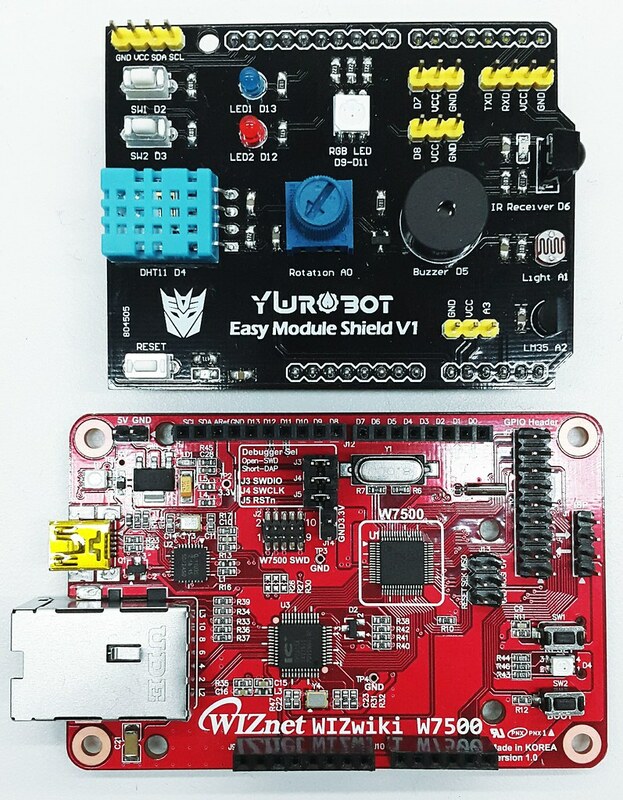 To create a data stream, head over to data.sparkfun.com, and click “CREATE”. * Fields – This comma-separated list of words defines data stream to post a list of unique values. 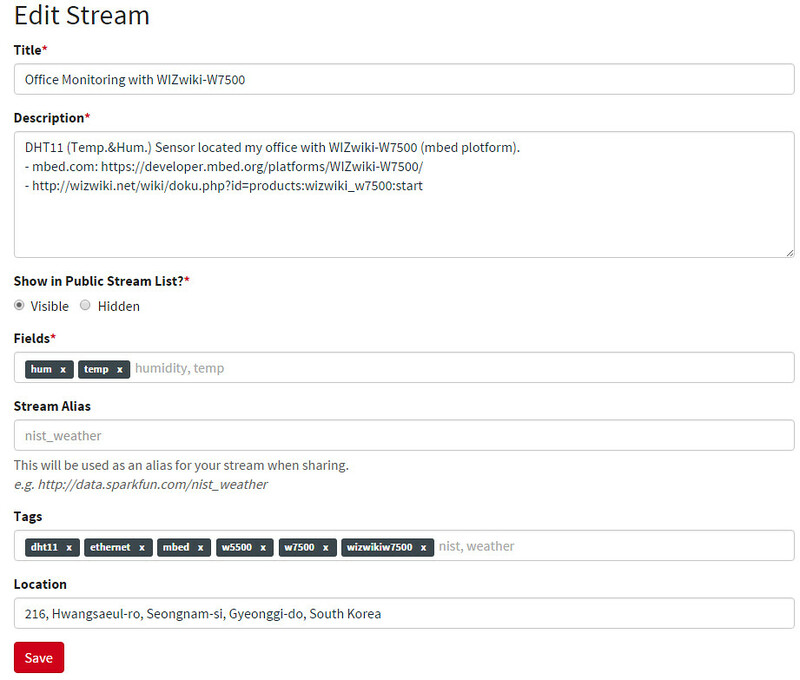 New Stream example: After creating a data Stream, you will confirm URL, Keys for accessing for your data stream. *  - If the trigger pin (3) goes low, send the data. 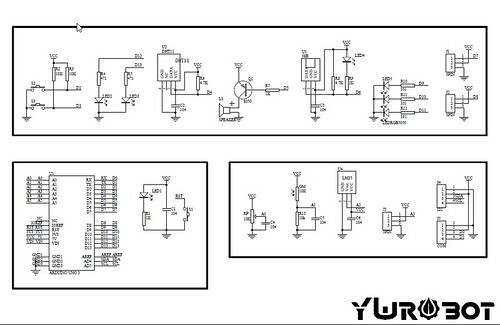 *          - Check for a response from the server, and route it out the serial port. Press the button to send query to server.